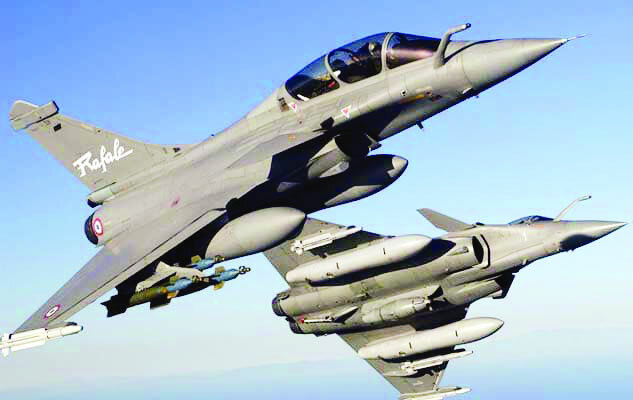 The Cabinet Committee on Security (CCS) headed by Prime Minister Narendra Modi gave exceptional and unprecedented waivers to M/s Dassault Aviation and M/s MBDA in the offset contracts they signed with the Indian government on September 23, 2016 as part of the €7.87 billion Rafale deal. These waivers, granted on August 24, 2016 at the highest level of political decision-making, were exemptions given to the two private French companies from having to comply with provisions of the Standard Contract Document of the Defence Procurement Procedure, DPP-2013. The waivers concerned two key issues — the provisions to be made in the offset contracts for arbitration (Article 9) and access to books of accounts of the industrial suppliers (Article 12). These had been sent up to the CCS for its “final review and approval” by the Defence Acquisition Council (DAC) headed by Defence Minister Manohar Parrikar. He had evidently felt uncomfortable with sanctioning, at his level, major deviations from the Defence Procurement Procedure. But that was not all. Two other mandated provisions of DPP-2013 that prohibit the “Use of Undue Influence” and “Agents/ Agency Commission”, Articles 22 and 23 respectively of the Standard Contract Document, and provide for penalties against private industrial suppliers in case of transgressions, had been quietly dropped along the way by the DAC. Curiously, while the deletion of these vital integrity provisions from the Supply Protocols, which were themselves only annexures to the Inter-Governmental Agreement (IGA), went up to the CCS for “final review and approval”, their deletion from the offset contracts, which had been insisted on by the French industrial suppliers, did not have to. These salient facts, which were not disclosed by the government in its submissions to the Supreme Court of India, as well as other aspects of an open-ended and murky set of offset arrangements which were enabled by a major change in offset policy in August 2015, come to light in the final report of the Indian Negotiating Team (INT), dated July 21, 2016, to which The Hindu has access. What needs to be noted is that nothing in our current series of investigative articles raises any questions about the quality of the Rafale, or indeed the rival EurofighterTyphoon, combat jet, or about the need to modernise the Indian Air Force. Interestingly, and as a matter of record, this was also the case during The Hindu’s Bofors investigation of the late-1980s, when neither the quality of the Bofors, or the rival Sofma, howitzer nor the need to upgrade the Indian Army’s artillery resources was in question. There has been a major political controversy over Dassault Aviation’s choice of Indian Offset Partners (IOPs), notably Anil Ambani’s Reliance Group, and the non-transparent arrangements for the discharge of offset obligations. Offsets are ‘domestic content-based requirements’ imposed on an exporting foreign entity by an importing government or public entity as a quid pro quo for placing a large order with the exporting entity. ‘Offset’ is usually rendered in French as ‘contrepartie’ (compensation), as Eric Trappier, Chairman and CEO of Dassault Aviation, pointed out in an interview to AFP. CCS gives exceptional waivers to Dassault & MBDA in offset contracts, exempts them from aligning Arbitration (Article 9) & ‘Access to books of account (Article 12) provisions with DPP-2013 Standard Contract. Defence Minister Manohar Parrikar, uncomfortable with major deviations from DPP-2013, gets DAC to send unresolved issues up for “final review and approval” by CCS. DAC drops DPP-2013 provisions on penalties for “Use of Undue Influence” and “Agents/Agency Commission” from offset contracts. Offset obligations of around ₹30,000 crore are heavily back-loaded, to be discharged over 7 years, with zero discharge in first 3 years and 57% in 7th year. INT’s efforts on offset issues weakened by parallel NSA talks. Controversy breaks out over non-transparent & openended offset arrangements and choice of Reliance Group as Dassault’s only publicly known offset partner. The total offsets to be delivered in the Rafale deal by Dassault Aviation (and its 21 Tier-1 sub-vendors) together with MBDA (and its 12 Tier-1 sub-vendors) have been fixed at 50% of the contract value. The contracted offset obligations, which are valued around ₹30,000 crore, are to be discharged over a period of seven years beginning in the fourth year, that is, from October 2019. The discharge of offset obligations is heavily loaded on to the last two years of the seven-year period. According to the offset schedule, the two private French companies (along with their Tier-1 sub-vendors) will discharge 0% of the value of the total offsets for ‘Make in India’ in the first three years and 4% in the fourth year. After that, while Dassault (and its Tier-1 sub-vendors) will discharge 16% and 23% of the value of offsets in years five and six, the corresponding figures for MBDA (and its Tier-1 sub-vendors) will be 9% and 30%. No less than 57% of the value of total offset obligations will be discharged in the seventh year. The INT’s final report reveals that the initial proposal of Dassault Aviation and MBDA had nearly 88% of offset obligations loaded on to the seventh year. The avenues proposed for offset discharge were also far from satisfactory. A meeting held in the Defence Ministry on January 4, 2016 decided that in view of advice received from the Ministry of Law and Justice, the French side should be informed that the offsets “will have impact on the commercial proposal” and that the French industrial suppliers should be advised to submit revised offset proposals urgently. (*)Technology Acquisition (TA) projects with DRDO are foreseen to be incuded in the Offset Contract, following discussions to take place between Dassault and the DRDO after coming into force of the Offset Contract. Depending on the outcome of these discussions, the Offset Schedule will be amended to reflect the TA projects and their associated offset value agreed between Dassault and the DRDO. However, such amendment will not affect the Annual Offset obligation indicated in the table above. The INT report reveals that the French negotiators were initially “not ready to mention the word ‘offsets’ in the IGA” but upon insistence by the Indian side, they “relented and added ‘Make in India’ initiative through Offsets at Article 12 of the IGA”. The proposal originally submitted by Dassault Aviation and MBDA was titled ‘Rafale Make in India initiative in the frame of the procurement of 36 Rafale aircraft’. This “neither mentioned the word ‘Offset’ nor provided the desired avenues/percentages/yearly discharge, etc., as mandated by the DPP-2013 guidelines”. It was only after extended discussions that the two industrial suppliers agreed to provide their offset offer “as per the format specified in DPP-2013”. Article 12 of the IGA reads: “The French Party will facilitate the implementation of ‘Make in India’ initiative by the Industrial Suppliers notably through offsets as specified through direct contracts between the Indian Party and the Industrial Suppliers for 50% value of the Supply Protocol”. Dassault Aviation and MBDA proposed the inclusion of the same clause on arbitration in the offset contract as in the IGA. Article 16 of the IGA, the dispute resolution provision, stipulates that both parties make their best efforts to settle the dispute through direct negotiations and that if any dispute cannot be settled through direct negotiations within 24 months, it will be settled in accordance with the arbitration clause of the Supply Protocols. Article 21 of the Supply Protocols stipulates that all disputes be settled by direct discussions and that if any dispute cannot be resolved in this way within 24 months, it will be settled by arbitration in accordance with the prevailing United Nations Commission on International Trade Law (UNCITRAL) Arbitration Rules in Geneva. The INT’s efforts on this issue had been weakened, if not undermined, by the parallel talks conducted by the National Security Adviser, Ajit Doval, in Paris in January 2016. The Indian negotiators found themselves up against a wall. Eventually, in July 2016, two months before the Rafale deal was signed, the DAC decided to send the issue of the lack of alignment of Article 9 — the arbitration provision in the offset contracts with the French industrial suppliers — with the mandated DPP-2013 provisions to “the government”. On August 24, 2016, the Cabinet Committee on Security decided to give a waiver on this issue to the two French companies. The INT report reveals that although the French side agreed to have a provision on ‘Access to Book of Accounts’ (Article 12) included in the offset contracts, it “introduced an additional formulation over and above the DPP guidelines”, which read: “However Dassault shall comply with French Law No. 80-538 dated 16 July 1980.” This is France’s controversial blocking statute which criminalises the communication of economic, commercial, industrial, financial, or technical documents or information to foreign individuals or foreign legal entities. France’s anti-corruption agency, the Service Central de Prévention de la Corruption, has recommended changes in Law No. 80-538, and in December 2016 a new anti-corruption law was enacted. But the blocking statute remains in place and can be invoked if needed. The INT report shows that despite being repeatedly asked to remove the additional formulation, the French side insisted that “they are bound to consider the French law as stated”. In July 2016, the DAC directed that “Article-12 of the Offset Contract on ‘Access to Book of Accounts’ which has been aligned with the Mirage 2000 MLU Contract, may be placed for a decision by the Govt”. This waiver was also approved by the CCS on August 24, 2016. Offsets, as we have seen, are domestic content-based obligations that the buyer imposes on the seller as compensation for placing a large order. Although the practice is often criticised for being trade-distorting, non-transparent, and riddled with corruption and has been generally prohibited by the World Trade Organisation (with an exception made for protection of the essential interests of a country’s national security), offsets are increasingly in vogue in the defence sector. India’s “Defence Offset Guidelines”, which form Appendix D of DPP-2013, lay down that the Defence Acquisition Council may, after consideration by the Services Capital Acquisition Plan Higher Categorisation Committee (SCAP HC), “prescribe varying offset obligations above 30 percent or waive the requirement of offset obligations in special cases.” In the original process, initiated by the United Progressive Alliance government, to procure 126 Medium Multi-Role Combat Aircraft (MMRCA) as well as in the new Rafale deal for 36 fly-away Rafale jets, the DAC prescribed offset obligations to the extent of 50% of the contract value. It is important to note that the offset contracts, which were concluded between the Government of India and the two private French companies, were not part of the Indo-French Inter-Governmental Agreement. Although signed on the same day, September 23, 2016, as the IGA, the two offset contracts were completely separate from it. This crucial fact was brought up in the official talks by the Indian Negotiating Team with a singular lack of success, mainly because their efforts had been undercut by the “parallel negotiations” conducted by officials of the Prime Minister’s Office and the National Security Adviser. As the official negotiations got under way, it became clear that the August 5, 2015 amendment to the DPP-2013 “Offset Policy Guidelines” allowed Dassault Aviation and MBDA a great deal of leeway. They were no longer required to submit their offset plans, including the identities of their IOPs, the details of their work share and specific products, and supporting documents indicating IOP eligibility at the bid stage, as laid down earlier. They were not even required to provide this information at the time of signing the IGA and the offset contracts. They are now required to provide the information to the Indian government only “at the time of seeking offset credits or one year prior to discharge of offset obligations through that IOP”. The controversy over Dassault’s choice of offset partners will not go away any time soon. As has been widely reported, Anil Ambani’s Reliance Group, with its subsidiaries, entered the defence manufacturing sector in January 2015. Reliance Defence Limited was incorporated on March 28, 2015, that is, two weeks before the new Rafale deal was announced in Paris; Reliance Aerostructure Limited (in which Reliance Defence Limited was a 99.988% shareholder as of March 31, 2018), was incorporated on April 24, 2015; and in October 2016 Dassault Aviation formed a joint venture with Reliance Aerostructure Limited’s subsidiary, Reliance Aerospace. The joint venture, which was incorporated in February 2017, has been named Dassault Reliance Aerospace Limited (DRAL). The allegations gained traction when Mediapart reported that it had obtained an internal Dassault document that revealed that “a senior executive of the French group told staff representatives that the joint venture with Reliance was agreed as a ‘compensation’ in the Rafale deal and that it was both ‘imperative and obligatory’ for Rafalein securing the fighter contract”. The allegations have been denied by Dassault Aviation, by Anil Ambani, and by the NDA government, which has maintained that it has had nothing to do with the aircraft manufacturer’s choice of IOPs and has not even received official word on who they are. However, the Dassault chief, Eric Trappier, has gone on record to say that DRAL, the joint venture that was building a manufacturing facility in Mihan, Nagpur, would make components of the Legacy Falcon 2000 series of civil jets and deliver “about 10% of these offset obligations”. What part Reliance Defence Limited, other Indian companies, or the Defence Research and Development Organisation (DRDO), will play in the discharge of the offset obligations in the Rafale deal will be known only in the months and years to come. Our present state of knowledge is that a group that entered the defence manufacturing sector some weeks before a new Rafale deal was announced in Paris is the only publicly known offset partner.